Q:About MOQ(Minimum order quantity )9 A: That's depend on the style ,usually will be 200 pairs per color per style. Q:. About Sample9 A: The Sample may need 5~15 days production,and the fee with express will be charged,but would be returned after place order. Q:About Delivery time9 A:The goods need 25-45 days to be made ,depend on the quantity , and will be production after receive deposit. Company Name Shenzhen Magic Shoes Co. We are ready to listen your voice! We display more new design in our showroom. 10.Free new item send together with your parcel. We usually take photos for our customers for their orders. all products will be worthy for you to import. 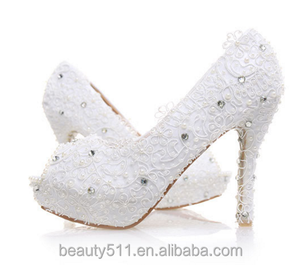 Tianjin Su Junzhu Clothing Co., Ltd.
Alibaba.com offers 15,696 red wedding shoes products. About 11% of these are awning fabric, 6% are lace, and 1% are men's dress shoes. 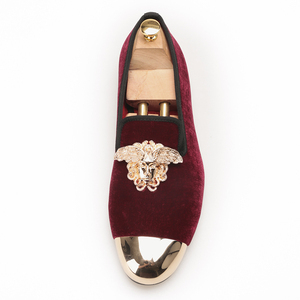 A wide variety of red wedding shoes options are available to you, such as free samples, paid samples. There are 15,736 red wedding shoes suppliers, mainly located in Asia. The top supplying countries are China (Mainland), Hong Kong, and Turkey, which supply 88%, 10%, and 1% of red wedding shoes respectively. Red wedding shoes products are most popular in North America, Western Europe, and Eastern Europe. You can ensure product safety by selecting from certified suppliers, including 2,559 with Other, 539 with ISO9001, and 347 with TL9000 certification.